Search using the categories to the left or if you know the site you are looking for search using A to Z. Why Use LoungeShopper? Quality North Wales Retailers and the convenience of Shopping from home mean you save time and money. How do I know if a site is safe to shop at? All the sites at Loungeshopper have gone through a basic quality check by an experienced editor. What to look out for. The security signs you should look for are sites using SSL (A padlock appears in the bottom right hand corner of your browser), sites using 132 bit encryption. Great Garden Products stock a wide range of Greenhouse Staging in various sizes. They are ideal as potting benches or worktables for greenhouses, sheds and garages. Made out of treated timber they are very durable and built to last, they are also maintenance free over a long time with no further treatment required. 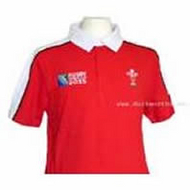 Duckworths sell a wide range of Welsh Rugby Shirts for men, women and children alongside a number of other Welsh clothing, accessories and Welsh Souvenirs and novelty items. The Rugby World Cup 2015 commences in mid-September and there's a variety of events going on across the nation during the build up to the first game at Twickenham Stadium. You can get yourself kitted out with al the necessary clothin and accessories with Duckworths' eclectic range of products and browse their quality Clearance Lines for some fantastic deals. Mobility Products 4 U offer a wide range of products from recliner chairs and adjustable beds to mobility scooters and wheelchairs & accessories. 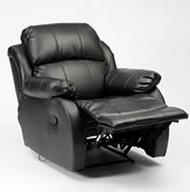 Whether you are after a manual recliner or an electric recliner, Mobility Products 4 U have exactly what you need and have specially chosen their range of chairs with your comfort in mind. The dedicated team are happy to help with all enquiries and any questions you may have, plus they offer advice on numerous frequently asked questions regarding VAT, which product is right for you and much more.